This is an accident waiting to happen! Only the ceiling tile is holding the full weight of the ceiling fan. This may work for a short time, but it could really hurt someone. 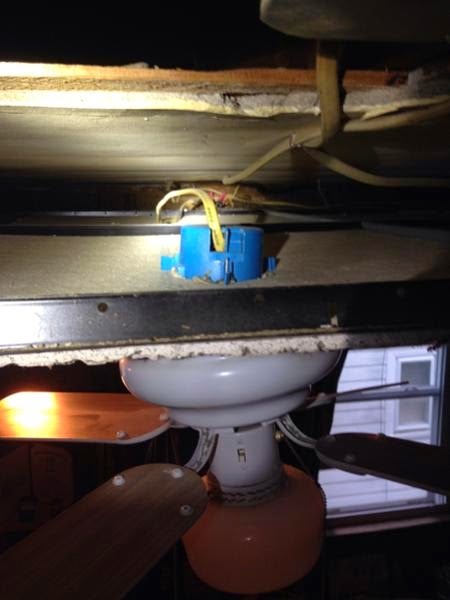 This is why you should hire a licensed, insured electrician.